Hayley and Robert tied the knot with a beautiful fall wedding in Arkansas. It was important to them that their wedding was not only elegant, but also represented who they are as a couple. 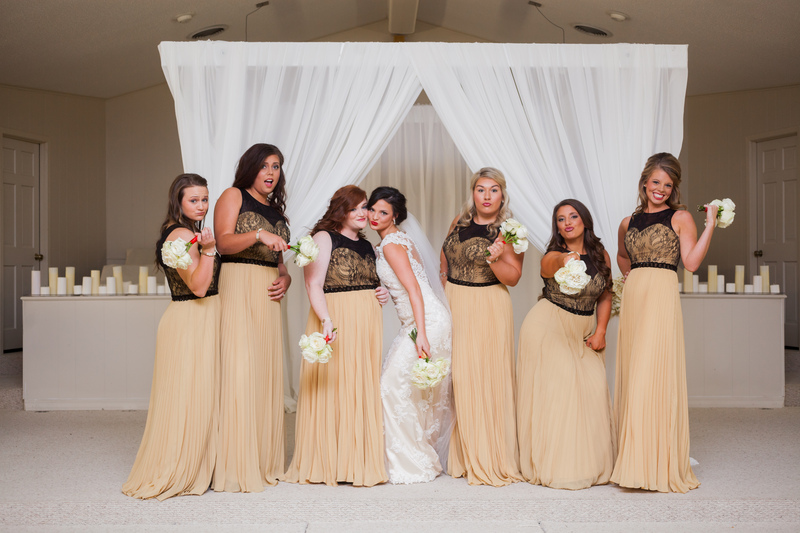 Their wedding embodied soft sophistication along with modern glamour. All the ladies wore our Mayra dress. All of the lovely photos were taken by Savannah Kate Photography. Q: Where were you married and why did you pick this place? Q: Did you have a particular color scheme? Gorgeous girls and the dresses are beautiful! I love the black lace over the chiffon. 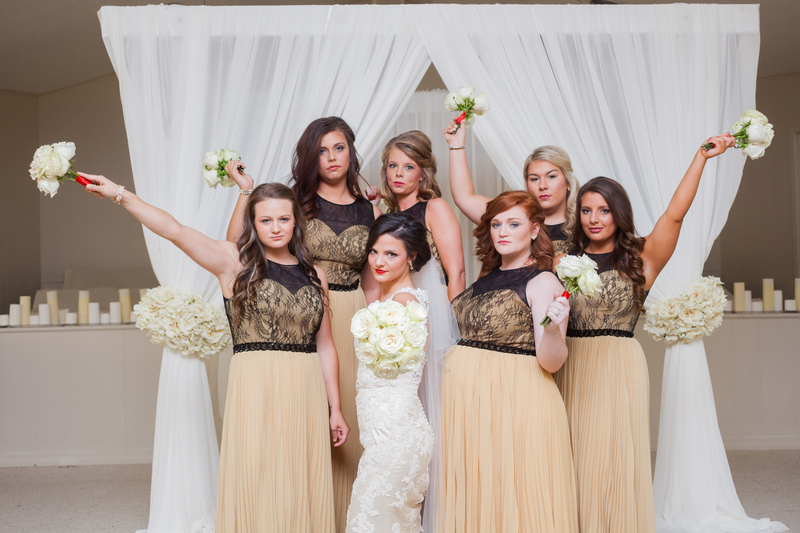 What is the other color in the bridesmaid dresses besides the black? Is it “gold”?